Call 311 to locate a nearby cooling center. During periods of extreme heat, the City operates free cooling centers in air-conditioned public facilities, with most centers open during the daytime. Unless you feel unsafe doing so, ask if the person is ok, has someplace to go, or needs help. 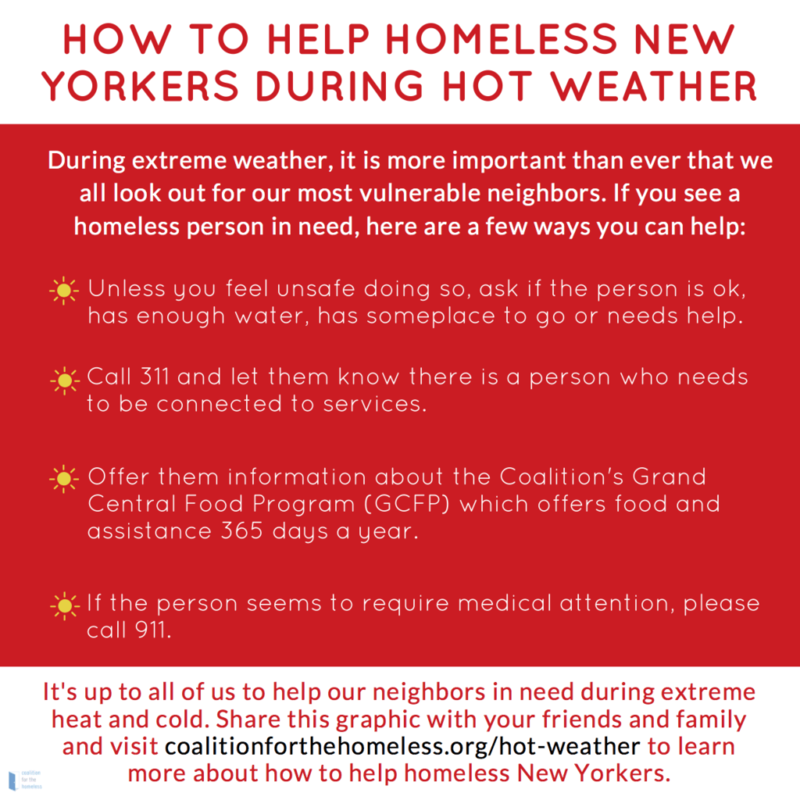 The post Help Homeless New Yorkers Stay Safe During the Heat appeared first on Coalition For The Homeless.